A new, custom engineered large truncated hyper-hemispherical sapphire dome that permits infrared (IR) and short-wave IR (SWIR) 360 degree full viewing is being introduced by Meller Optics, Inc. of Providence, Rhode Island. The Meller Sapphire Truncated Hyper-Hemisphere Dome provides 360 degree full viewing with an enhanced 65 degree field-of-view and can be custom fabricated in sizes from 6.0” to 10.5” O.D. with 0.2” to 0.75” thick walls, depending upon the outside diameter. Designed to protect cameras, sensors, and detectors in harsh environments, it provides up to 85% transmission uncoated in the UV to IR, with up to 99% when A/R coated on two sides. Featuring Moh 9 hardness which is second only to diamond, Meller’s Sapphire Truncated Hyper-Hemisphere Dome has a 40-20 scratch-dig surface finish, 10 Angstrom surface roughness, with a surface figure of 1.0 fringe over any 2.0” dia. on both faces. The domes are custom fabricated and can include precise edge steps and end profiles for special mounting surfaces. 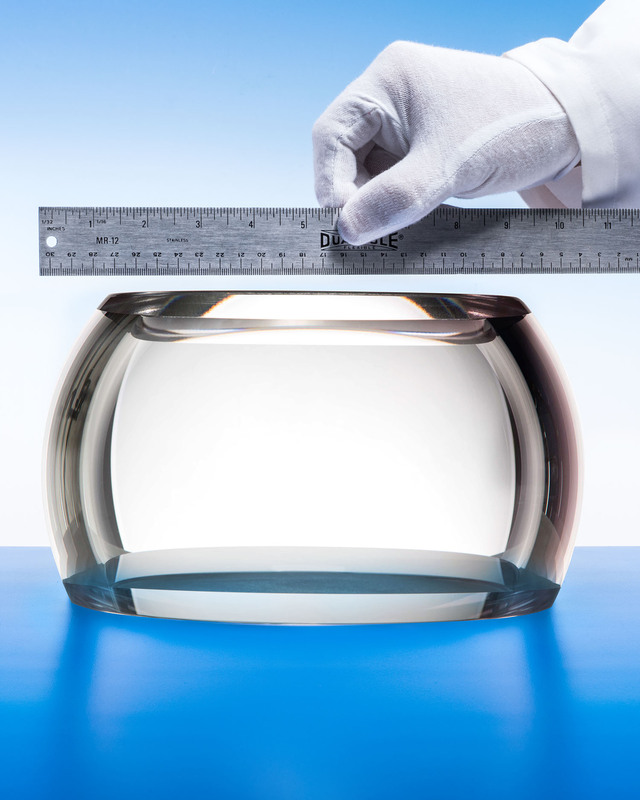 The Meller Sapphire Truncated Hyper-Hemisphere Dome is priced according to size and quantity. Price quotations are provided upon request.